With the ever-increasing burglary rates in Western Australia, it has become essential for homeowners to look for ways on securing their houses. In this area, there are several options you can choose, including installing an alarm system, mounting roller shutters or having an automatic driveway gate. However, a great way to start is by reinforcing your door. There are many advantages to installing an anti-burglar door. Thanks to decorative security doors, you do not have to settle for prison-bar looking doors. After all, your door is one of the things that passers-by see. So, it is important to make a good impression while keeping your home secure. Of course, the primary reason why people choose to have a decorative security door is the level of protection it provides. Decorative doors are made to look stunning, but they are also designed to protect your home against forced entries. When someone tries to break into your home, your decorative security door will stand as your reliable first line of defence. It would be advisable for you to look for suppliers that offer decorative security doors that meet Australian Standards. 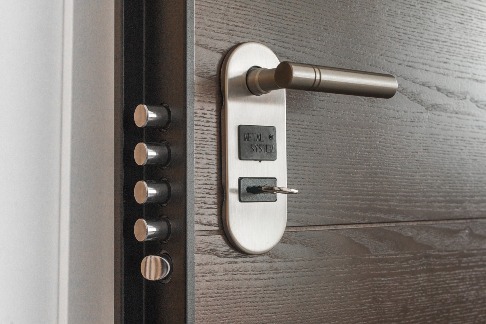 Your decorative security door should have reinforced security locks. Aside from that, it should have satisfactorily passed anti-jemmy, knife shear and impact tests. If you find a security door as such, it would be extra-difficult for burglars to take down your door. What is all this fuss about a house’s ‘kerb appeal?’ Well, this is not a term that real estate professionals loosely throw around. You see, if a property has a strong kerb appeal, it is easier for agents to sell them at a higher price. So, if you are planning to resell your home, then you might want to consider ways of improving your home’s kerb appeal. A home with a beautifully designed exterior can be considered to have a strong kerb appeal. You can repaint your home and install window shutters to make your home look stunning. Aside from those, you can also install an aesthetically appealing decorative security door. One of the great things about decorative doors is the fact that you can have the design customised according to your preferences. It is true that it is easier to find and purchase template security door styles in the market. However, you can truly express your lifestyle and taste with a bespoke security door. You can ask your supplier to build your decorative security door with a design and style that complement your home. Perhaps you want a door that can offer reliable security and yet you do not want to compromise style. You achieve both by opting for a French style security door. This type of door is ideal for homeowners who want to add a unique and beautiful charm to their home. French style doors are also perfect for people who want to make a bold statement. With their expansive size, these doors allow you to explore your creative side. These doors are typically offered in traditional or Victorian French designs. If you have visited a baroque church or museum and have been mesmerised by the beauty of stained glass, then you would be delighted to know that you can incorporate it into your security door. With their unique and artistic appeal, stained glass security doors improve any home’s aesthetic appeal. This material is also quite versatile so the design options are virtually endless. It goes without saying that you are sure to find a design that goes well with the overall style of your home. Whatever the design you choose, you are sure to end up with a beautifully designed security door. Another popular accent for security doors is etched glass. Like stained glass, the design options for etched glass are practically endless. So, it is ideal for those who want a personalised design for their decorative security door. However, you have to keep in mind that since the design is carved into the glass, its surface is rough. This means that you will feel the design’s carvings when you run your fingers on the surface of the glass. If this is not your cup of tea, then it would be better to opt for other glass accent options. Frosted glass is also an ideal accent for your decorative security door. Since the surface is blurred or frosted, you can still have enough privacy for your home while letting natural light in. This is perfect for homeowners who want to save energy costs. They can turn off the lights in the daytime and illuminate their living space with sunlight. People often mistakenly believe that security doors only come in prison-bar designs. These days, you will be able to find security grille doors that have beautifully designed patterns. You will have the freedom to choose from a wide selection of motifs and themes, including art deco, federation and contemporary styles. You can even ask your supplier to personalise the design of your security grille door according to your preferences. There are many ways that decorative security doors can benefit your family. The key is to find the one that truly complements your lifestyle and taste along with a reliable supplier who can properly install it.